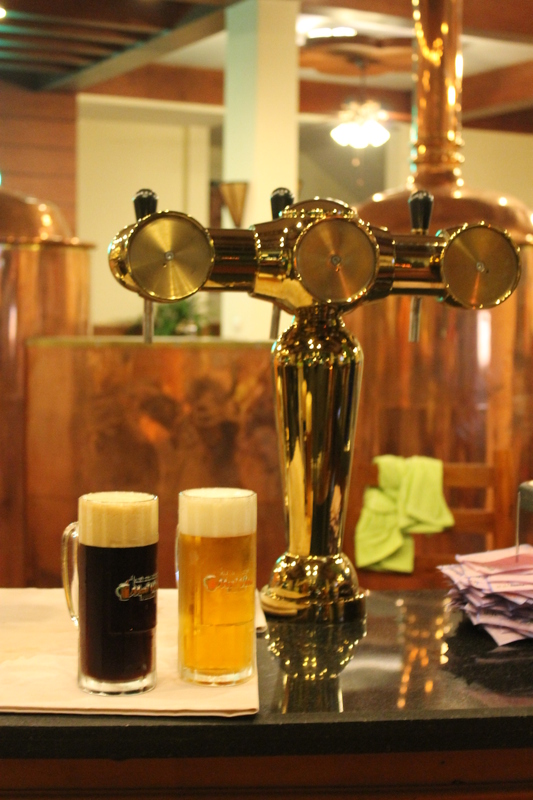 Mai vien microbrewery, brewing ale and stout? First visit at Mai vien brauhaus was a great surprise. Wonderful beer and excellent service. Food prices are good and they have a menu with german and czech food, also some thai dishes and off course a wide vietnamese menu. The first floor takes at least 200 people and there is place for plenty more at the other floors. Old motorcycles with side cars is part of the decoration at the first floor. Mai vien has been brewing since three years ago with Czech malt and style. The malt and hops is imported from Czech republic and grinded at place, when you come to the brewery you can smell the malt that’s boiling in the cellar. Both beer are full bodied, tasty and has a good strength. The black beer has a caramel note and you can also find a slight touch of coffee in it. If you compare it with Guinness and Kilkenny, this black and thick beer is much tastier. Tin, both owner and brew master shows us the brewery and pours out some fresh beer directly from the beer tank. This is beer in its best form, fresh and alive. The blond beer is also full bodied with a dry bitterness in it, a touch of wet hay and the overall feeling is a fresh and strong beer. A blind tasting with this beer and some ales would most likely lead to the conclusion that this beer is more ale than lager. You can easily understand that this is brewed with passion and experience. 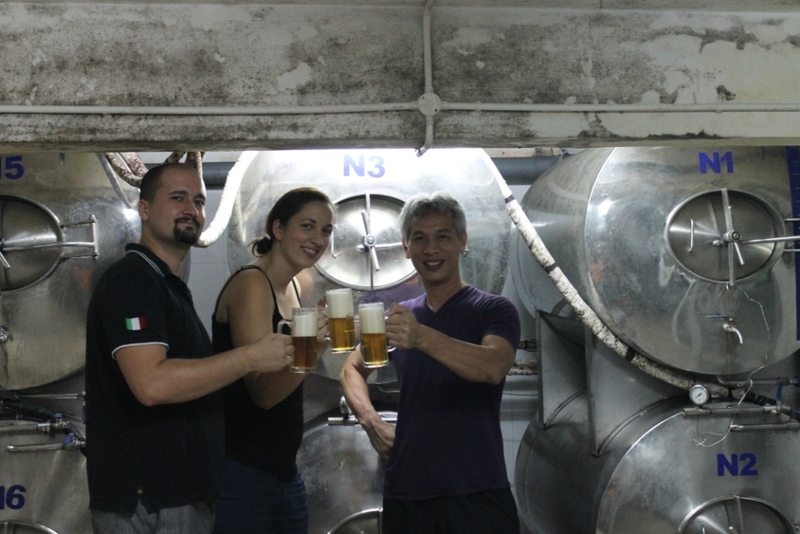 This entry was posted in Activities and news and tagged beer hanoi, brewery Hanoi, mai vien brauhaus, microbrewery. Bookmark the permalink.